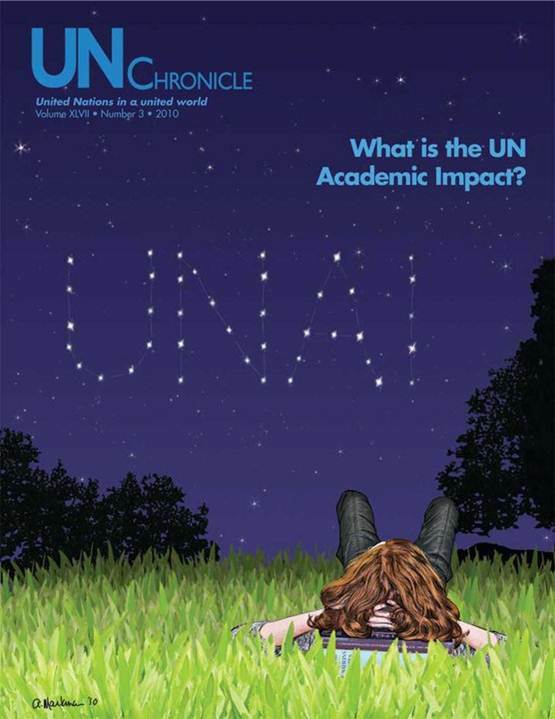 UN Chronicle, Issue No. 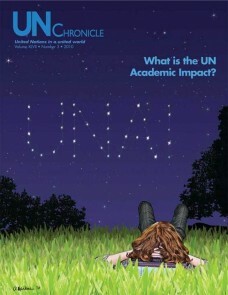 3, 2010 on”What is the UN Academic Impact?”coincided with the launch of the initiative by that name by Secretary-General Ban Ki-moon on 18 November in New York. The edition focuses on the importance of education, especially higher education, in strengthening a culture of intellectual social responsibility, and on how higher education can help in eradicating poverty, empowering girls and women, strengthening democracies and contributing to sustainable development. UNESCO’s Director-General Irina Bokova, in her contribution, underscores the current unequal access to education for girls, the marginalized, and indigenous peoples. She spotlights the challenges in achieving quality education and stresses the imperative role of proper financing in unlocking the crises. The edition also looks at successful non-governmental models that employ will, vision, and technology to find low cost ways of bringing education to marginalized rural communities.